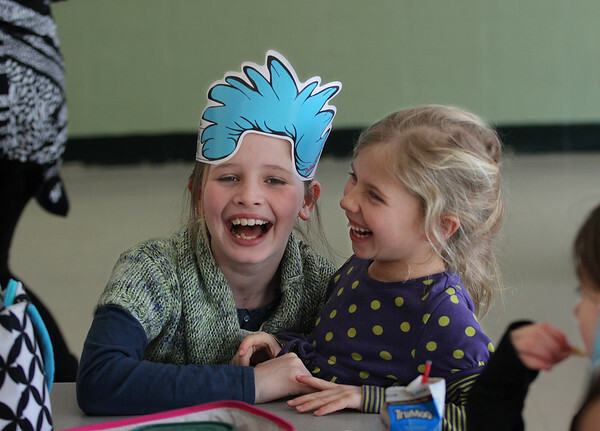 Second graders Ella Arnsten, left, and Caroline Willwerth share a laugh at lunchtime Monday on Dr. Seuss Day at Manchester Memorial School. The beloved children's author Dr. Seuss (Theodor Geisel) would have turned 111 years old Monday. To celebrate, students and faculty at Manchester Memorial and other schools on Cape Ann read Seuss stories and dressed up as Suess characters.